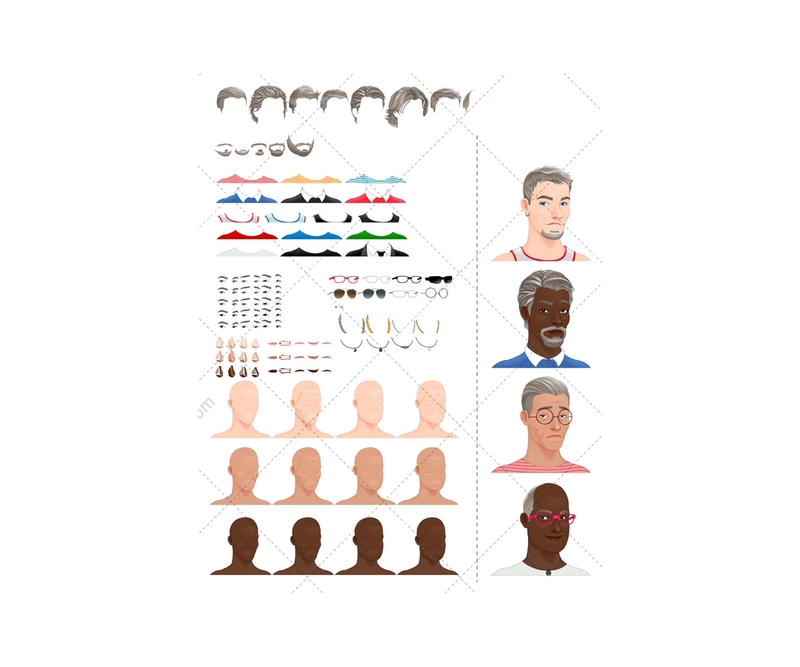 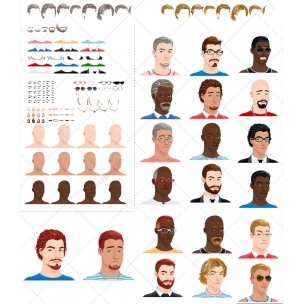 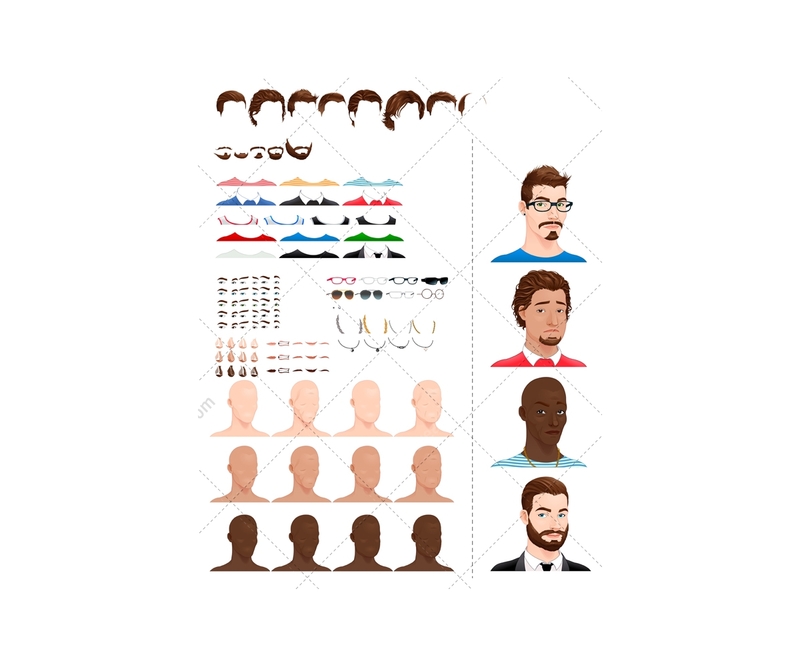 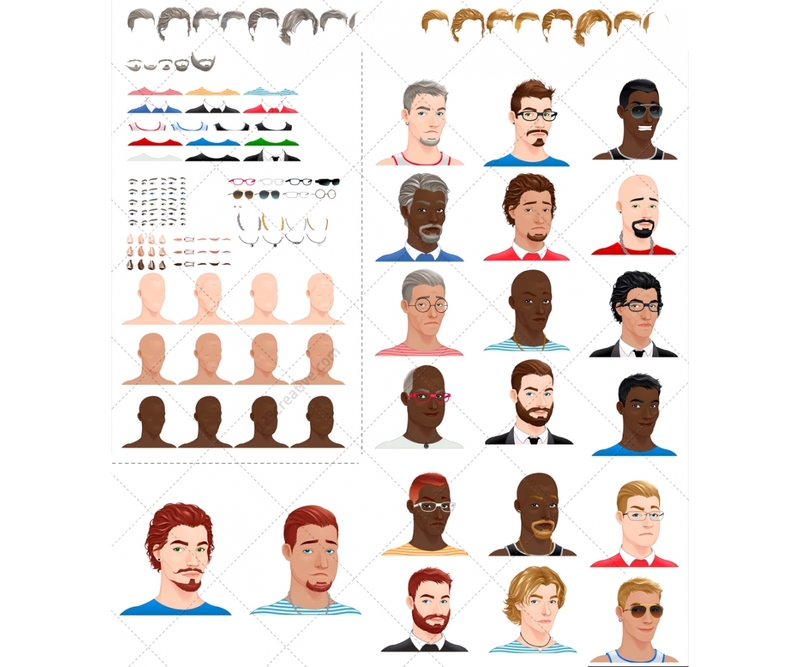 - a collection of 20 various man avatars with a lot of components for modification: hairs, skin color, eyes, nose, sunglasses, spectasles, chain, fob, beard, clothes. 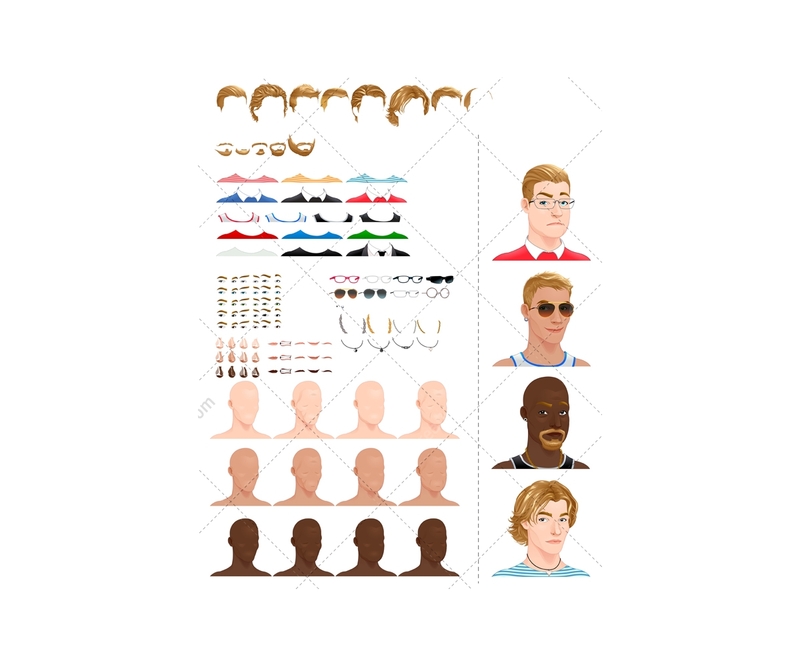 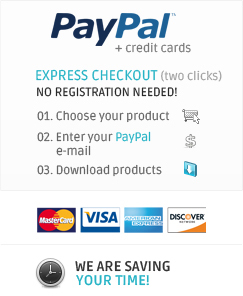 Easy to modify or change colors. 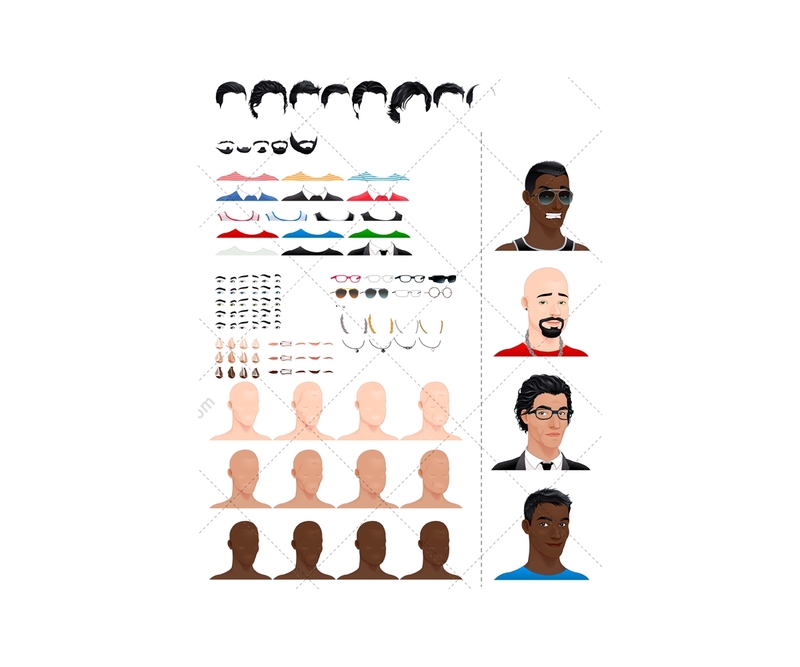 All vector elements are isolated from background.